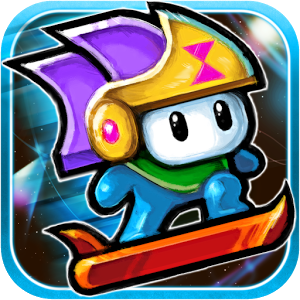 Time Surfer got its start on the Humble Mobile Bundle, but now it's available from the Play Store for a reasonable $.99. In most respects it's a typical endless runner, albeit with a neon-soaked, pixelated I-love-the-80s theme. 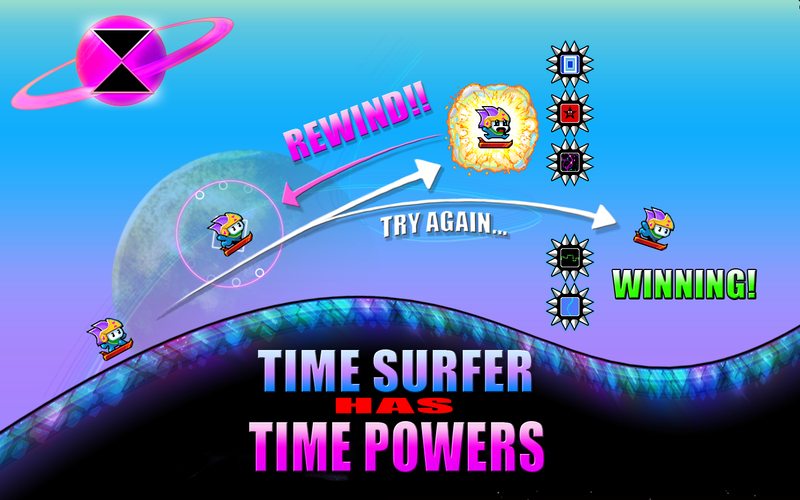 You play a Silver Surfer wannabe with the additional ability to rewind time, allowing him to avoid the obstacle he just smashed into or grab that powerup or vehicle he missed. 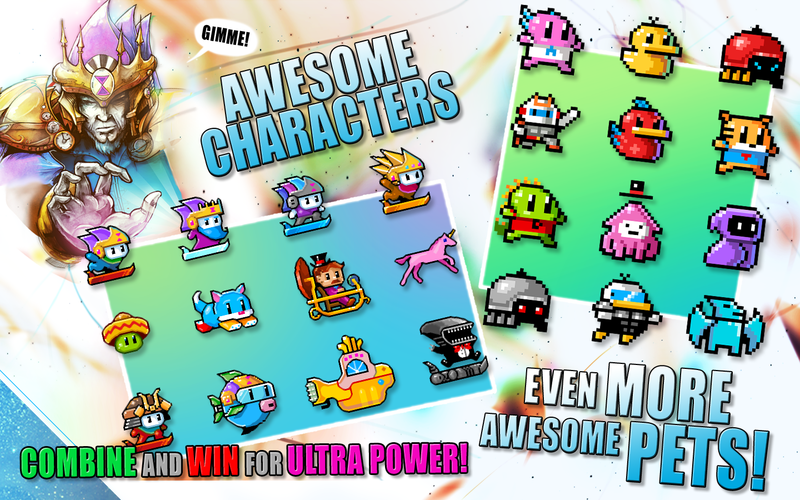 A Tamogotchi-style pets system lets you find and upgrade numerous add-on characters that unlock new powers. 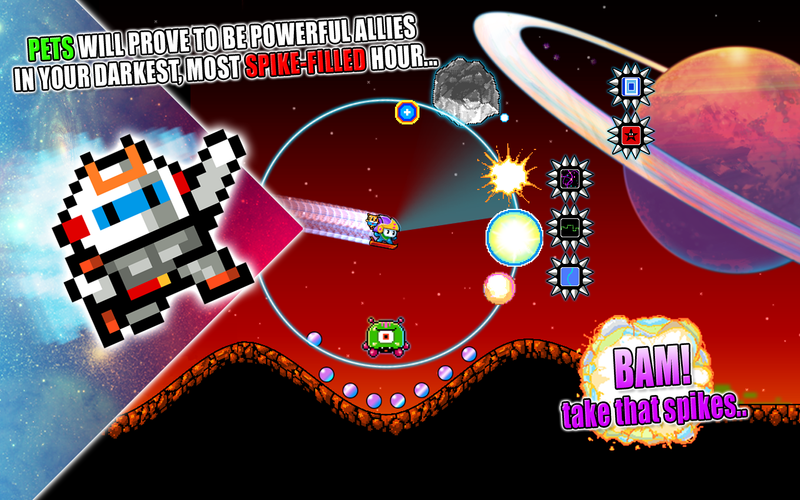 Collect the right powerups and you'll zoom through the levels like Super Sonic. The graphics are pretty basic, though the costumes and various pets are certainly worth a chuckle. You can kit out your Time Surfer with an H.G. Wells-style time machine, a Yellow Submarine, or an Aliens xenomorph in a tuxedo. The music is of particular note if you're a fan of the Chiptune style. 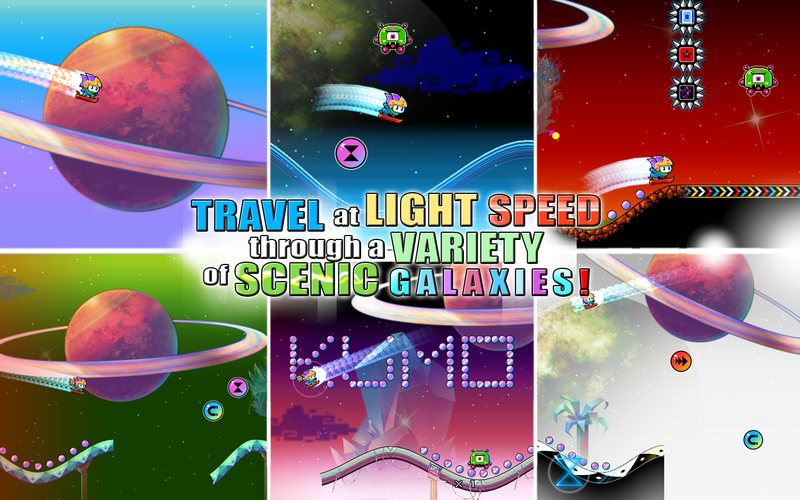 Time Surfer is available on all devices running Android 2.2 or higher.